Timor-Leste should adopt national legislation to restrict the use of firearms by law enforcement officials as international law requires. Police use of a firearm is only permissible where necessary to confront an imminent threat of death or serious injury or a grave and proximate threat to life. 1. Human life is inviolable. 2. The State shall recognise and guarantee the right to life. Section 30(4) stipulates that: "No one shall be subjected to torture and cruel, inhuman or degrading treatment." 1. Everyone is guaranteed the freedom to assemble peacefully and unarmed, without a need for prior authorisation. 2. Everyone is recognised the right to demonstrate in accordance with the law. 1. The police shall defend the democratic legality and guarantee the internal security of the citizens, and shall be strictly non-partisan. 2. Prevention of crime shall be undertaken with due respect for human rights. 3. The law shall determine the rules and regulations for the police and other security forces. The National Police of East Timor is the primary law enforcement agency in Timor-Leste, although the armed forces have also been involved in law enforcement operations. 1. 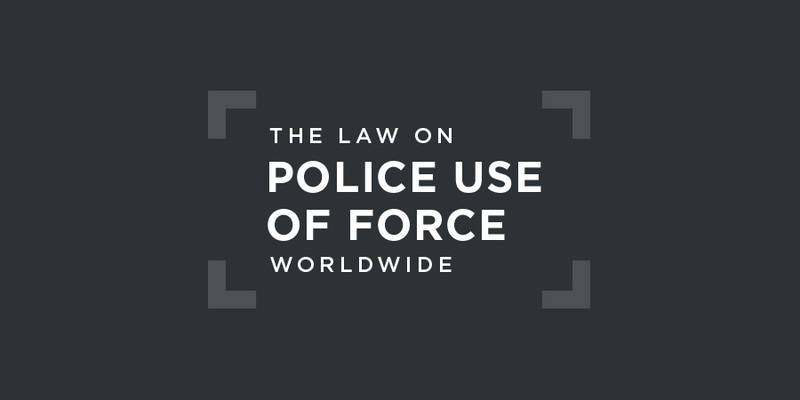 In the case of disturbance of public order and peace, the use of force is authorized, and where this is insufficient, other means can be used to overcome illegitimate resistance against members of the PNTL, in the performance of their duties. (b) after the use of all means to overcome resistance to the performance of their functions and after having given an explicit warning. 3. The PNTL cannot impose restrictions or use coercive means other than those that are strictly necessary. 4. The PNTL can use weapons of any model and calibre. 5. The use of firearms shall be regulated by specific order. There is not believed to be specific legislation governing use of firearms as international law requires. There is no civilian independent police oversight body in Timor-Leste. The Office of the Ombudsman for Human Rights and Justice can hear complaints about unlawful police use of force. that widely publicized cases of alleged torture or ill-treatment by police officers in Atauro, Oecusse and Maliana have not resulted in any prosecutions and, more broadly, that the Committee has received information concerning many allegations of torture and ill-treatment, including excessive use of force, involving the police, as well as reports that the security forces reportedly commit such abuses with impunity. In the context of the 2016 Universal Periodic Review of Timor-Leste, the UN country team stated that security operations conducted over several months in 2014 and 2015 against groups outlawed by Parliament had led to numerous allegations of human rights violations by the police and the military, including torture, excessive use of force, ill-treatment, destruction of property, and arbitrary arrest. There is no regional human rights court with jurisdiction over the acts of law enforcement officials in Timor-Leste.